The 7.9" Retina Display makes its debut on the iPad mini, maintaining its enormous 2048 x 1536 native resolution. At 326 pixels per inch, the Retina Display can show up to 3.1 million pixels at a time. The Retina Display is also a capacitive touchscreen so you'll be able to utilize all the multi-touch gestures of iOS 7 . Its smaller form factor makes it easier to hold in one hand. The iPad mini comes in a silver finish. 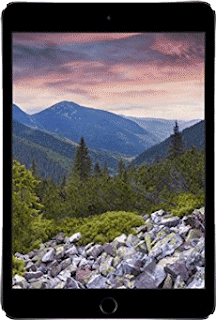 Click here for special discount Apple iPad mini 3 . The iPad mini offers you a great option that currently sits between the iPhone 6 Plus and the iPad Air 2 in terms of screen size. This makes it more portable and easier to hold than the Air 2 but gives you more screen real estate than the 6 Plus. The one key downfall is that it has the slowest processor of the 3. However that’s not to say that the A7 processor on the Mini 3 is a slouch. For all intents and purposes, in everyday use, the A7 should fulfill all your tablet computing needs effortlessly. Having used it myself for the last couple weeks, I don’t find myself grinding my teeth due to performance. New features added to the Mini 3 are a fingerprint scanner and a new gold color option. While the new color option is purely aesthetic and a matter of personal taste, the finger print scanner offers some real functional enhancement. It makes securing and unlocking the device so much easier. Unlike a passcode, your kids can’t just find out what it is and start making in app purchases. And with the new Apple Pay feature, your purchases will be that much more secure. Of course if you don’t really take your iPad out much and no one else has any access to it, this may not be as important. That’s not to say there won’t be future utilizations of this technology that you may want to use. But in its current state, its purpose is limited. Since the iPad doesn’t have an NFC chip, you won’t be able to use Apple Pay to pay for items in a brick and mortar store using your iPad Mini 3. So, it’s not necessarily the form factor or the feature of the Mini 3 that holds it back. It’s the value proposition it offers in relationship to the other iPad configurations currently available. As mentioned, the only new features of the iPad 3 are a fingerprint scanner and a gold color option. If those are not on your list of must-haves, there are other options within the iPad family you should consider, especially because the privilege of having those 2 new feature options cost $100. That’s right, because the exact same tablet without the finger print scanner is available in white or space grey for $100 less and it’s called the iPad Mini 2. It’s still fully supported by Apple as a current product and it can still run the latest IOS. So, let’s explore all your options. The iPad Mini 3 starting at $399 gets you the finger print scanner and the option to get it in gold. The iPad Mini 2 starting at $299 gets you the same processor, support, warranty, screen resolution, and OS, just no finger print scanner and only 2 available color options. The iPad Air for the same price of $399 gives you everything the Mini 2 and 3 has except for the fingerprint scanner or gold color option but you get a bigger 9.7” screen. 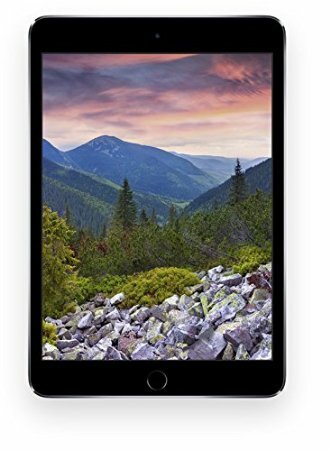 The iPad Air 2 for $100 more gets you a larger, higher resolution 9.7” screen, a faster processor, thinner body, faster Wifi and you also still get the Finger Print Scanner and gold color option. It’s easy to see why many professional reviewers are saying skip the iPad Mini 3 and get either the Mini 2 or the Air 2. But why did Apple do it this way? Personally, I think Apple learned something when they created the Mini 2. Prior to that model, the Original Mini was based on the specs of the older iPad 2 (not Air) which created a feature gap between that model and their flagship model at the time, the iPad 4. They sold it for $100 cheaper but it was a step down model so people who really wanted a flagship would have to pay the extra $100. When they produced the Mini 2, they gave it all the features of the new flagship, the iPad Air, essentially creating 2 flagship models, with one just being $100 cheaper for a more compact screen. This probably cannibalized sales for the iPad Air. Many reviewers at the time were saying, just buy the Mini 2 and save yourself $100. But now that they’ve reintroduced the feature gap between the flagship, iPad Air 2 and the new iPad Mini 3, those who were on the fence about form factor but wanted the best features would be more inclined to purchase the more expensive iPad Air 2. In conclusion, it’s up to you whether the value proposition offered by the finger print scanner is worth $100 or if the extra money would be better spent on other features. If you want to have it all, the iPad Air 2 is the way to go. If you can sacrifice the finger print scanner and gold color, then the Mini 2 seems like it would be a better value. Mine will be going back to the store shortly, now that I’m comfortable knowing that I’ll probably happier using the iPad Air 2. I might however, trade it in for the Mini 2 so that my family will have a current iPad around to use. One nice thing about the Mini 2 and 3 being the same is that if I do trade it in, I can keep the case I ordered online for the Mini 3 and use it for the Mini 2.